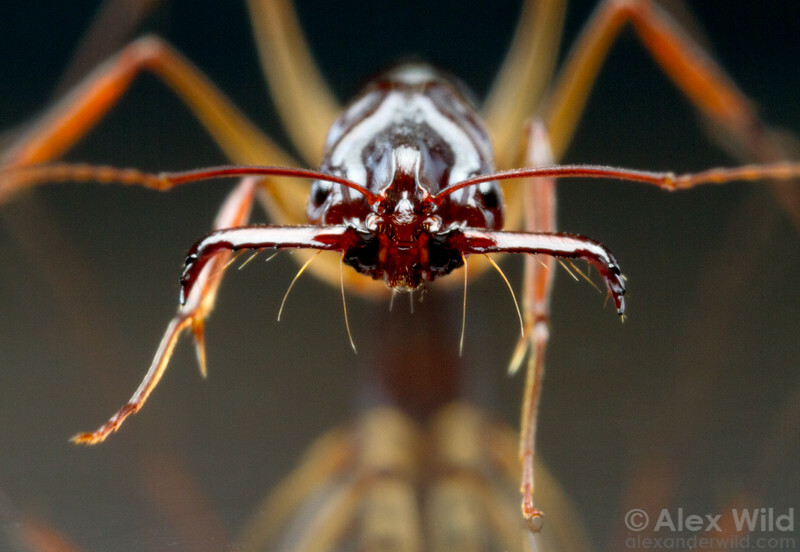 Trap-jaw ant with mandibles in the open position. Note the forward-facing trigger hairs. Cambodia; laboratory colony at the University of Illinois.